If you have any sort of knowledge of Disney, you might recognize that line from Tangled (one of my favorites). Christianity is a faith that revels in the sharing, writing, expressing, and creating of words. I am a longtime journaler. Writing helps me process my experiences, about God, about marriage, about life. It helps lay bricks of foundational truth, and is a sweet climate for the adventurous nature of communicating with God. It helps me uncover lies I’m believing, or small joys to be thankful for. As I write, the Holy Spirit irons out thoughts and feelings, always prompting me to apply the Bible’s counsel. In the early years, my blog was a mixture of documenting memories, sharing inspirational quotes, talking about God and books, and other random creative things. Only a handful of people knew it even existed. This year is my 8th year maintaining a personal blog, but like most hobbies it has evolved as I have grown. Have you ever had a dream and found yourself [maybe somewhat timidly] asking God to multiply it, to make it meaningful and useful for His kingdom? Me too. To use my writing to serve others, not just myself. Following by… What? SERVE others? With my writing? I write sporadically, mostly with a hope that someone might benefit from the lesson I’m learning. I don’t have any actual skills as a writer. What? I wanted to become a better writer to say with Paul, “what we proclaim is not ourselves, but Jesus Christ as Lord, with ourselves as your servants for Jesus’s sake” (2 Corinthians 4:5). Upon encouragement from my husband and a few friends, I decided to be brave. Practically speaking, I sought coaching from two professional writers I highly esteem, and it has been RICH. I’m reading books on writing and absorbing helpful resources, and having all kinds of fun. Spiritually speaking, my relationship with God is top priority, so I’m making changes to cultivate intimacy, a listening ear cocked to the Holy Spirit, and space to simply enjoy Him. I even created a rule of life to thoughtfully structure my life around loving Him with my entire being and loving others as I love myself. It’s a new adventure, fueled by joy in God, a passion for writing well, and a desire to talk about fun, interesting, inspirational topics with you. Heart to heart, as He refreshes me, I hope my words spark something fresh in you. 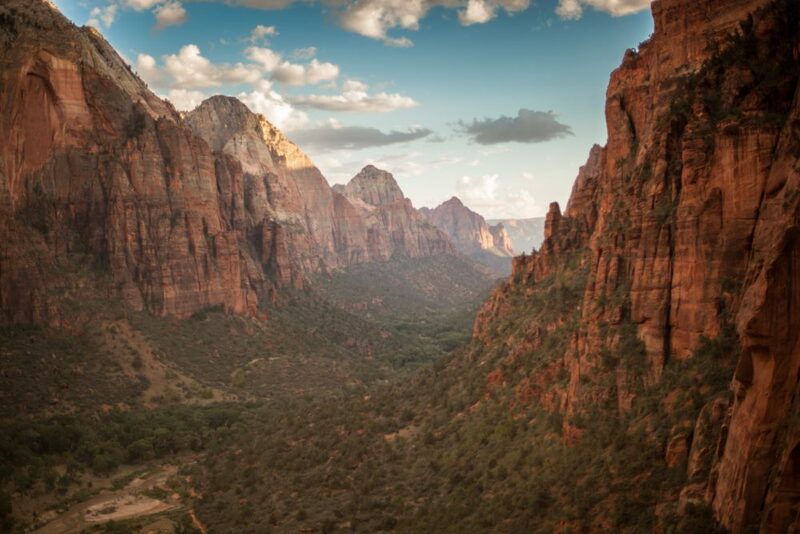 *Also, the photo is of another dream of mine, Zion National Park, and we just bought tickets to visit! I have ALWAYS thought you should be a professional writer – and should even write books! Your awesome wisdom and knowledge of God’s Word at your young age help you to connect so well with others, and God can truly use this amazing talent to encourage and lift up others of all ages, especially young women!!! Go for it, Beautiful Lady!